The Labyrinth is an ancient prayer path where you can become more intentional about taking on “the mind of Christ.” (1 Corinthians 2:16). Our Labyrinth is modeled on the pattern in Chartres Cathedral from the early 1200s. 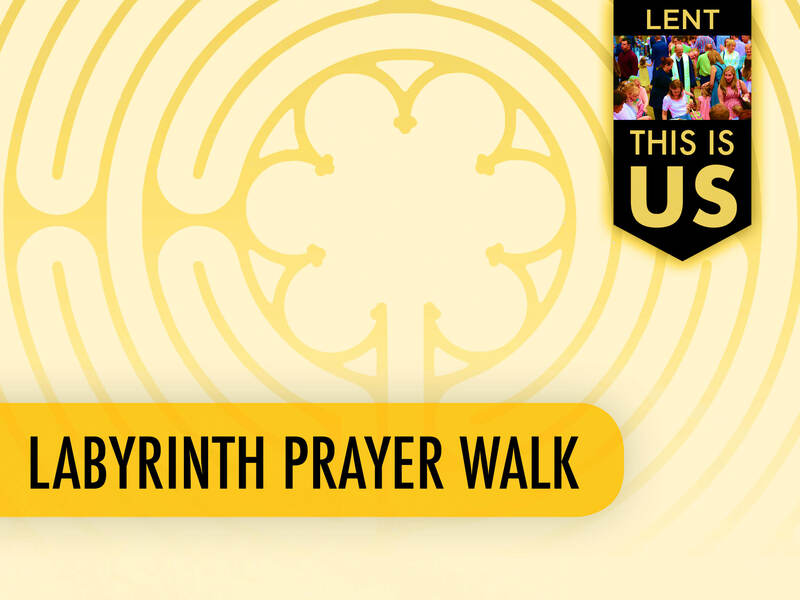 The open Labyrinth marks a sacred space to quietly and prayerfully follow the “pilgrim’s path” while being open to God’s Presence and guidance. All are welcome to spend time in Labyrinth prayer on Wednesday and Thursday of Holy Week. Someone will be there to greet you in Wesley Hall and will offer reading materials and information to help you get started. Add to your Maundy Thursday experience by walking the Labyrinth before the evening services in the Sanctuary and Chapel (families with children are always welcome!). It generally takes approximately 15 minutes to walk the Labyrinth, but you are welcome to pray there for whatever length of time you feel your soul needs as we approach the climax of the Lenten journey.